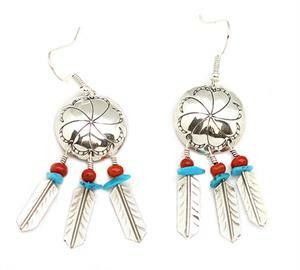 This earring has a sterling silver concho and three dangle feathers with turquoise nuggets and coral beads. It measures 3/4" diameter concho by 2 1/4" long with silverplated french wires. 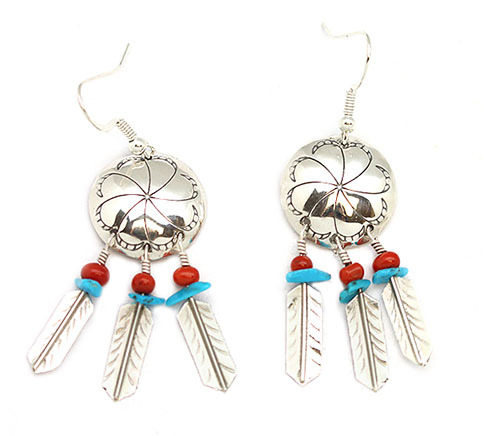 Native handmade and crafted by Navajo artist Jennifer Begay. Nuggets may vary in color shade and size.